On its launch, the Toyota RAV4 (a contraction of Recreational Active Vehicle with 4-wheel drive) single-handedly created the compact sports utility vehicle segment, bridging what was at the time a gaping chasm between traditional off-roaders and regular passenger vehicles. Its construction was similarly unique, maintaining the favoured height, ground clearance and chunky look of a traditional 4WD vehicle but allied to a car-like monocoque bodyshell instead of a separate body and chassis. The model was an idea that had been bubbling away among Toyota’s development team as far back as 1986 when the briefings for its radical styling were initially discussed. The first physical manifestation arrived in 1989 when the RAV Four concept was displayed at the Tokyo Motor Show. The concept was then refined and remodelled for the 1993 show, providing a much closer indication of the production car that would emerge the following year. In creating the RAV4, Toyota made use of a number of tried and tested components from its extensive parts catalogue. Specifically, the platform was donated by the Corolla, the engine and some driveline components came from the Camry/Carina, and the suspension and transmission was derived from the Celica GT-Four. The net result, however, was a clever ‘recipe’ that many other manufacturers later copied in the development of their own car-based SUVs. 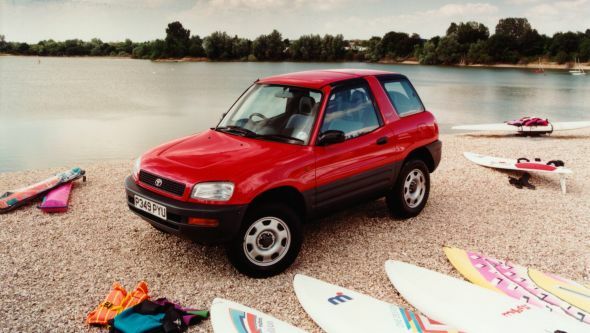 The first-generation RAV4 was launched into the domestic market in May 1994 (one month later for the UK) as a two-door, four-seater model with a 2.0-litre 16-valve four-cylinder 3S-FE engine that endowed the car with near hot-hatch levels of performance. As indicated by the name, it offered permanent four-wheel drive transmission, running through either a five-speed manual or four-speed automatic gearbox. A locking centre differential was an option for those envisaging more serious off-roading, though due to the car’s road bias a low-range gearbox was never offered. The car was an instant hit, both critically and commercially, and forecasted production runs were immediately doubled. Its compact size, predictable car-like handling, surprising off-road abilities, and generous equipment levels appeared to cover every motoring eventuality. But there were two areas that some felt were inadequate: rear passenger space and luggage carrying space. To address this, Toyota launched an additional four-door model in March 1995, which increased overall length by 400mm and turned this version of the RAV4 into a full five-seater. Well after its domestic launch the RAV4 was finally made available in the US in January 1996, which coincided with a number of subtle revisions applied across the range. That same year also saw the introduction of an entry-level model offering front-wheel drive only, while 1997 was notable for the launch of an all-electric RAV4 EV model designed to comply with California’s mandate for zero emissions vehicles. Its sophisticated nickel metal hydride (NiMH) batteries gave the car a range of 100-120 miles after a five-hour charge. A mid-life facelift was carried out for the 1998 model year, introducing more equipment, improved safety, greater refinement and a touch more engine power. Crystal-style headlights and rear lenses gave the RAV4 a much fresher-looking face. For those wanting a more direct connection to the great outdoors, February 1998 saw the introduction of a Cabrio model, though the somewhat fiddly rear convertible roof arrangement won few admirers and it was quietly deleted from the range in 2000. 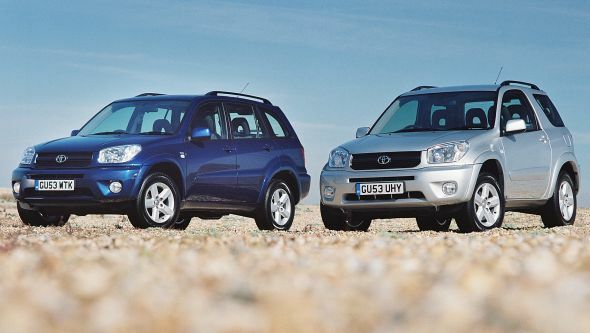 By the time the all-new, second-generation model was launched in 2001, the RAV4 had been joined by a number of other car-based SUV rivals including the Honda CR-V, Subaru Forester, Suzuki Grand Vitara and Land Rover Freelander. Evidently benchmarked against some of these soft-roader vehicles, the new RAV4 was longer, wider and roomier than before. Every dimension had increased by around 25mm, yet by improving the stamping and welding process the bodyshell was no heavier. Now becoming an entity in its own right, this time the car contained far fewer shared components. Indeed, approximately 70% was now unique to the RAV4. The spec and construction of the new car was familiar territory for fans of the first-generation. Two- and four-door variants were produced (the US market only received the four-door), both with the distinctive side-opening tailgate, while transmission options were once again either five-speed manual or four-speed automatic gearboxes. This time the four-wheel drive setup with viscous-coupled centre differential was derived from the Lexus RX300, though an entry level 1.8-litre front-wheel drive model was also available in some markets. The, the outgoing S-series powerplant was replaced with a new generation AZ-series 2.0-litre all-alloy engine with variable valve timing and a useful 148bhp. A more economical 2.0-litre D-4D common rail turbo diesel engine option was soon added to the UK lineup (only available with 4WD), immediately identified by an attractive bonnet scoop directing air over a top-mounted intercooler. With this addition, Toyota soon announced itself as the ‘King’ of diesels in the UK, offering the widest range of diesel engine derivatives of any manufacturer. Efficiency and versatility were hallmarks of the new interior, too. Both two- and four-door models received a rear bench seat that could be split and folded, slid fore and aft, and even removed entirely to free up more luggage space. The only notable change implemented for the 2004 model year facelift in some markets was a petrol engine upgrade to a torquier, 161bhp 2.4-litre version of the AZ-series powerplant. Apparently the outgoing 2.0-litre engine was eager enough but felt too stretched when mated to the automatic gearbox. The new displacement motor therefore brought the RAV4 back in line with rivals such as the Nissan X-Trail. Interestingly, despite the second-generation RAV4 having a more aggressive yet aerodynamic design, statistics from the US showed it to have an extremely high proportion of female owners, more than any other make or model barring the new Volkswagen Beetle. 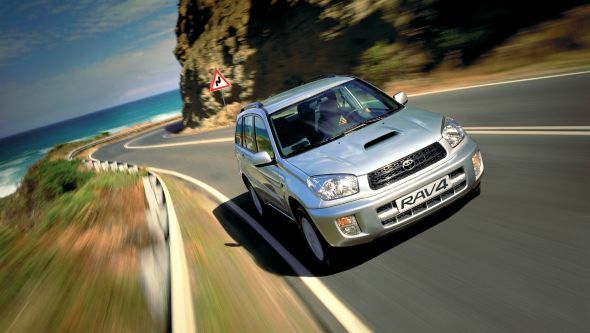 The third-generation RAV4 of 2005 showed clear evidence that the model had now matured. A two-door version was short-lived and only sold in Japan, while the big-selling four-door was produced in either a short- or long wheelbase format in some markets (the latter to accommodate a third row of seats). Overall size had once again increased, now 130mm longer than before, though that was also matched by appreciable increases in equipment. The car’s all-new monocoque bodyshell was a massive 76% stiffer than the outgoing version, bringing with it improvements in safety, durability and NVH (noise, vibration and harshness) levels, not to mention providing a stronger foundation for the all-new double wishbone independent rear suspension with diagonally-set dampers. Ground clearance was now 10mm higher at 200mm, while the steering was now electrically assisted, a first for a 4WD Toyota. Aside from losing the rear-mounted spare wheel on some models, the biggest change from RAV4s of old was a dispensing of the model’s full-time all-wheel drivetrain in favour of a part-time system (many markets also offered a strict 2WD version) that also combined the traction and stability controls. This kind of all-encompassing setup was a first within the SUV market. There was, however, a manual AWD Lock button that could be engaged at speeds under 25mph. Meanwhile, the engine range was now the widest it had ever been in the model’s history, with up to eight different petrol or diesel engines available from 2.0-litre four-cylinder to gutsy 3.5-litre V6. It was a similar story with transmission options, now available with five- or six-speed manuals, and an incredible four-, five-, or six-speed (CVT) automatic gearboxes! Due to the comparative success of the first all-electric RAV4 EV in California, this model was adopted as the base for the second-generation RAV4 EV. Engineered as a combined effort between Tesla Motors and the Toyota Technical Center in Michigan, USA, the car was released for leasing in September 2012. Its 154bhp motor was powered by a lithium ion battery pack and said to offer a range of up to 113 miles in extended charge mode. Meanwhile, subtle revisions carried out in 2008 and 2011 kept the third-generation RAV4 looking fresh and improved its safety credentials, thereby minimising any downturn of sales before the launch of the new fourth-generation model. Toyota RAV4: go fourth and conquer! The fourth-generation RAV4 was displayed for the first time at the Los Angeles Auto Show in November 2012 and went on sale in the UK in March 2013. So well-received was the new car that sales were ten times higher than when the model was first launched in 1994. Later, in 2016, the range was expanded to introduce a petrol-electric full hybrid model, which was Toyota’s response to customer demand that reflected greater interest in air quality and cleaner powertrains. Available across the entire grade range, hybrid models now account for two-thirds of all RAV4 sales in the UK. As of June 2018, more than 8.5 million RAV4 models have been sold worldwide. Upwards of 1.5 million of these have been in Europe, and an impressive 90% of them are still on the road today. 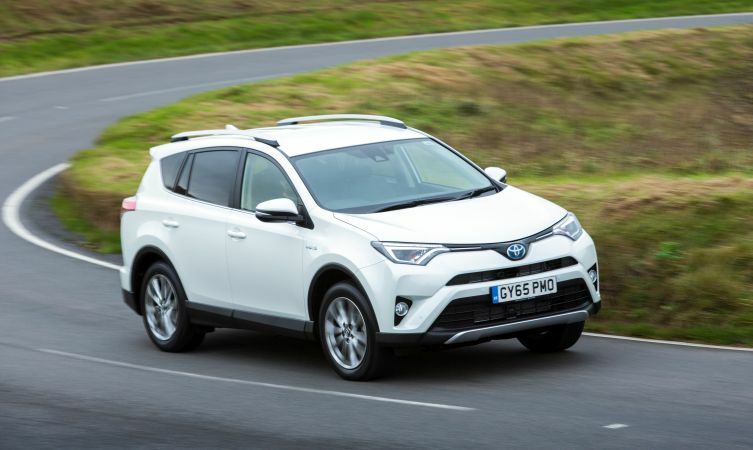 Why not browse through the RAV4’s dedicated section on the Toyota website or visit your local dealer for more information on this exciting vehicle. 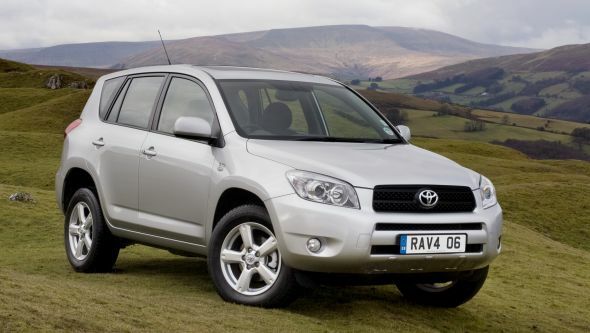 Thanks for getting in touch, it’s great to hear that you have had some happy miles behind the wheel of your RAV4. Unfortunately, this is not something that we have any information on. You may be interested, however, to read about how in 2015 we invested in a first-generation model to restore and add to the ranks of Toyota’s heritage fleet: https://blog.toyota.co.uk/toyota-rav4-restoration-the-reveal. We wish you all the best with your restoration Philip! Let us know how you get on. Hello, I have a 97 3 door with 325k miles, only issue is burning oil. I pulled the engine to do the clutch, and decided to swap in a turbo’d Honda K-Series engine instead. This built engine will output 600hp peak, tuned down to 400 for everyday driving. Do you think the rav4 transmission will hold up to this power? The CR-V transmission is my other option, but it may not be as strong. Thanks for getting in touch. Unfortunately, we are unable to comment on modified vehicles outside of the manufacturer specification. Please I just brought this RAV4 2001 model and the car is not moving at all. They said it have ECM/ brainbox problem. Infact they said I should stop using the car or the gearbox will be effected. Please how can you help me with this kind of problem. The ECM number is 89661 – 42651. Thanks for getting in touch and we are very sorry to hear that you are experiencing these issues. We would advise for you to contact and visit the nearest Toyota Centre in your region, as they will be able to assist you through an inspection of your vehicle. Hi! My 2002 Rav4 blew up, & found out some of its guts had been replaced with non-toyota parts.Heard the’03 had issues, but don’t remember what I am looking for the same basic design before they stream lined it, and I still want the tire on the outside. What year did they change it from the more boxy design that I want so I can focus my search? Thanx! My 1994 3 door auto with air con ﹰﹰTV and gold badges still makes me smile. Its a great design. Not easy to find s replacememt with 2 removable sunroofs and such a powerful heater! Thanks for getting in touch. We love to hear such positive comments and it sounds like you have a great car! We wish you many more happy miles with it. We’d recommend visiting this site: https://www.toyotanigeria.com/. I have owned several Toyotas in the past but this is my first rav4. I have a 2016 Rav and was just wondering why the doors unlock as soon as it is put in park. My daughter has a 2014 corolla that does the same thing. I find this to be quite unsafe and was wondering, is there a way to change this? Our technical department have advised that you can change this here: MENU / Setup / Vehicle / Vehicle settings . Alternatively, if you can’t find the option in the menu, we would suggest contacting your local Toyota Centre who can assist but also change the function using diagnostic equipment if required. Thank you for your post. We have spoken with our technical department and without a visual check they will not be able to provide advice. However they have said it is best for you to visit your local Toyota Dealer who will be able to look into this further for you. Your local Toyota Dealer can be found here: https://www.toyota.co.uk/world-of-toyota/find-your-dealer.json. Hope this helps, many thanks. It is great to hear your story about your ownership experience and we are delighted that your RAV4 has provided many years of adventures. I have a rav 4 2004 5 door in gold and silver.I adore her and she doesn’t let me down at all ;only through my neglect. the mileage is over a 100 and there are a few bodywork issues.I am just wondering how long I can expect her to last ? and is it worth spending some money to keep her going as I know I would miss her. I keep looking around at other cars but my heart is not in it and I think I would regret a change! I don’t have the money for a new rav 4; If I did I wouldn’t even look at anything else. So how long will she last if I get repairs done and what are the important ones. I have had a new fan belt and a new clutch to date. Hi Selina. It’s great to hear how much you love your RAV4! We’re not really in a position to recommend what work is needed – you’re best off visiting your local Toyota dealer who will be happy to take a look at the car. 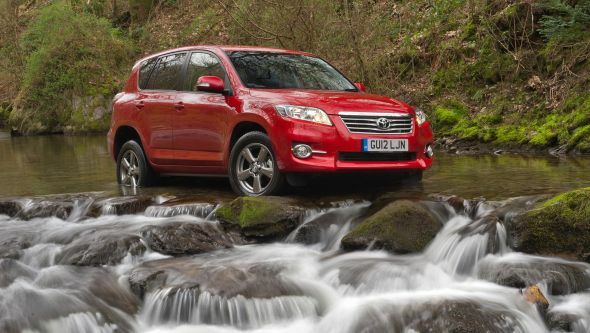 Alternatively, we do offer finance deals for the new RAV4, which may be worth a look: http://po.st/atJnZv. As we’re sure you’ve experienced, the RAV4 is a tough and reliable car, so we’re sure that with a little TLC it’ll last you a while yet. Hope this helps Selina. I bought an “automatic” RAV4 new in 1999. It passed its MOT in April 2018 first time having completed almost 249000 miles. It had never let us down but was due for a cam belt service and needed a few minor repairs. I decided, sadly, to change it for a newer model which I hope will provide the same excellent service. There is lots of life left in your car. You will regret this. Dont do it. Fix it or even fit a lower milage engine. You wont find a better vehicle. It is very heartening to read the comments in this forum. I own a 2000 rav4, last of the first edition. Just turned 150 000k. Touch wood, the car is a beauty. Only had to replace battery, brake pads, tyres over the years and not much else big maintenance. Probably didn’t even treat her right at certain points but it stood by me thick and thin. I can’t let her go. I bought it brand new 14 years ago using mainly money from a job redundancy. My first car and the best investment ever. The interior looks almost the same as when I bought it, the exterior a couple of minor scratches I am getting fixed. I am keeping this car as long as it runs. I come from a family of toyotas…I wish they made the original ravs again, want one brand new. Would a rav4 in good condition with 200k be a risky purchase? Thanks for your post Philip. Remember that you can always seek an independent third party inspection of a car if you are concerned. Yes, bring back the two door. My 2-door 2003 Cruiser is the perfect city car, which can also do the occasional bit of rough stuff. Only problem is it’s getting close to 300,000K and I guess it can’t go forever. I’d buy another one tomorrow. I’m also on my 4th Landcruiser but the 2-door RAV is just so much better in the city. My name is Kelly Apuzzo. I owned a 1997 Toyota Rav 4 (the small one). In fact, we had the license plate TNYRAV 4 and we loved our car. At first, we took some kidding from friends and family, but that quickly changed as gas prices went up. The comments went from, ” hey, nice gym shoe on rollerskates!”, to “What kind of gas mileage does that little beauty get?” Well, my little beauty lasted until my accident December 11th of this year. It was dark, with snow, ice and unmelted salt all over the road. A front impact with a slide and 90 degree turn, left me dizzy, but otherwise unharmed. My radio turned on as it happened, then turned off .. forever. My car died saving me. I just wanted to say “THANK YOU !! !” to the men who designed her. Hi I have a 1998 purple stax model with 144k on the clock and starts and runs like a babe ,love her heart .bit tired on the outside but I think they were so well made and it makes me feel safe and she stomps away ,sometimes a bit too nippy ,I forget her age . She loses me no money and no man would ever steal it as the purple exterior and interior lol . Thanks for your your post. Great to hear from you about your RAV4 Stax. Would be good to do more of a feature on your car as we had a few RAV4 limited editions around that time. We could write a bit more detail about your experience and ownership along with a pic of your car. Let us know if interested and we will send an email with more details. Congratulations on this new release though the only turn off about this 4th generation is the reduced ground-clearance,we need to go off road without a hassle.Please consider this matter because this vehicle in my book suppose to handle most obstacles. Appreciate your feedback regarding ground clearance on the RAV4 and will pass this back to our product team. We also have the Land Cruiser range if travelling off-road is a regular occurrence for you. Why have You stopped making the 2 door model??????????? ?I am now forced to look elsewhere to replace my 3rd 2 door Rav 4.My car is now 10 years old and going strong but I need a new car. Are you bringing back the 2 door model?????? Sorry about stopping the two door variant, it was a decision we had to make based on the size of the market. The decision of which models to sell and which models we lose as a result of this is always a compromise and is subject to constant review. No plans to bring back a 2-door version at this stage unfortunately. Good to hear that you have had 10 years good service from your RAV4 and sorry that our reply is not more positive for you. I have had a 2dr Rav4 “rag top” for 18yrs. I love it. You can park it anywhere. I now need a new top and nobody has one. Its frustrating because the maintenance is well kept up. Absolutely no major problems. It only has 97k miles and will go to 300k but I need the top replaced. It is now duck taped which is very “GHETTO”. Does anyone have info as to where I can replace the top ? I live in San Francisco. We’d have to recommend you speak to someone at Toyota USA regarding your search, they’re more likely to be able to help! Many thanks. I will try to find a listing for Toyota USA. Thank you for your info. The last place I found which had access to a “rag top” wanted $8,000. Yikes !!!!! Blue book on my car is $1,700. We hope you find what you’re looking for! Good luck.